Summerville converted just one form and now saves thousands. Ocean County saves plenty of time and money by changing one form. Going on vacation does not have to be stressful. 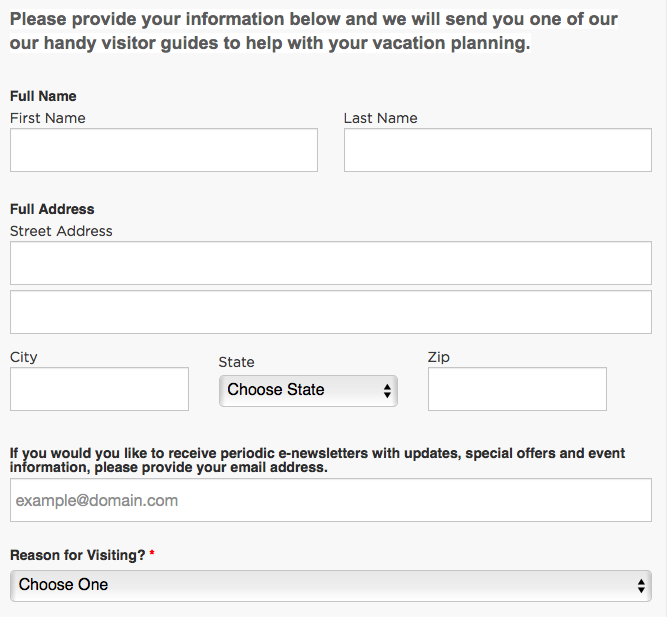 This SeamlessDoc allows users to request a visitor's guide without having to pick up the phone. They simply have to open the form on their tablet, smartphone or computer, fill out their information and the rest is done for them. Thank you! Access Case Study below. Check out how a recent government went SEAMLESS! 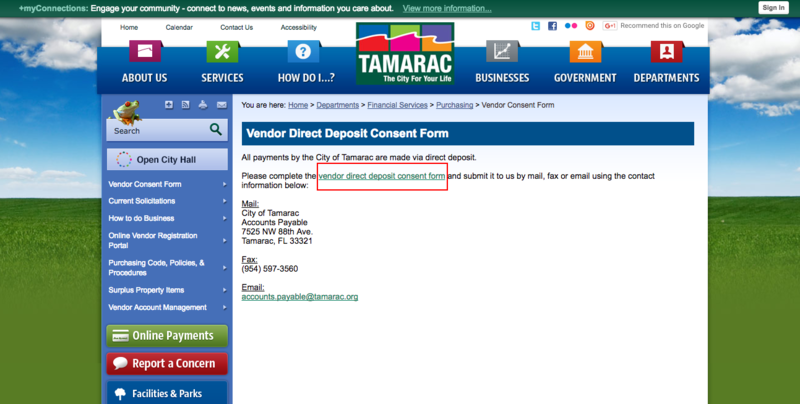 Tamarac was previously using a static, non-fillable PDF form to have vendors request Direct Deposit to get paid faster by the city. With SeamlessDocs, the form was converted into an easy-to-use and intuitive Wizard that could be quickly accessed by clicking the URL on the vendor section of the website. The vendor could now fill out the form from anywhere on any device, and in seconds was cleared to receive payment through direct deposit from Tamarac.